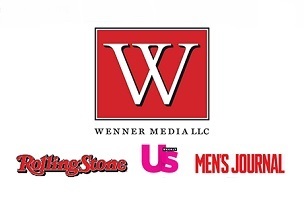 [COO John] Gruber was ordered to fire Rolling Stone‘s head of brand and content and marketing solutions over the phone while the exec was on vacation after newly promoted Wenner Media digital chief Gus Wenner was said to have told his father that he didn’t like him, the sources added. Not surprisingly, Gruber has bolted. Granatstein notes that this is the highest-ranking shuffle at Wenner Media since Gruber took over for Kent Brownridge in 2005. She also got confirmation of another major departure – Rolling Stone publisher Chris McLoughlin. In our report last week about the unstoppable rise of 23-year-old Gus, we suggested the hobby of archery might keep him otherwise occupied. You know, from things like putting bullseyes on the backs of fellow Wenner Media employees. It seems that in the shift to hand Gus all the digital power at the company, something had to be done with David Kang, who had been handling the digital operation for the past year and is seen as a close Gus Wenner ally. Kang was elevated to the company’s chief revenue officer — making Gruber expendable. The COO is said to be ready to join Autism Speaks, a charity founded by former GE Vice Chairman Bob Wright.